OKLAHOMA CITY, OK (KTRK) -- Oklahoma City's finest went beyond the call of duty to fulfill the request of one of their tiniest citizens. The Oklahoma City Police Department posted this picture on their Facebook page this weekend. It shows a little boy hugging officer Kreig Cook. According to the Facebook page, officer Cook and his colleagues were out on a call for service when the little boy came up to them. The boy then held out his arms and asked the officers for a hug. 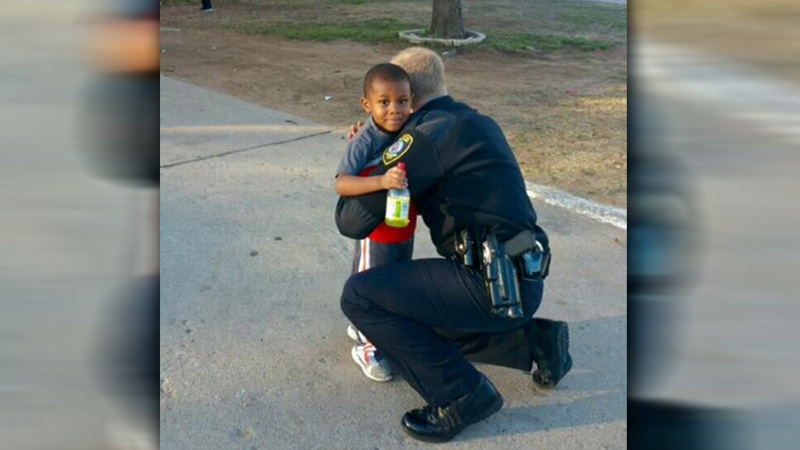 Officer Cook responded without question, leading to the heartwarming photo. The photo has already been liked more than 42,000 times and shared more than 3,600 times.